Cerebral palsy (CP) is the most common motor disability in childhood, and children with CP and their families need support. Learn more about CP and what signs to look for in young children. 1. Cerebral palsy (CP)is a group of disorders that affect a person’s ability to move and maintain balance and posture. 2. CP is the most common motor disability of childhood. About 1 in 323 children has been identified with CP according to estimates from CDC’s Autism and Developmental Disabilities Monitoring (ADDM) Network. 3. CP is more common among boys than girls, and more common among black children than among white children. 4. Most (about 75%-85%) children with CP have spastic CP. This means that their muscles are stiff, and as a result, their movements can be awkward. 5. 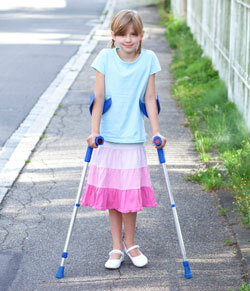 Over half (about 50%-60%) of children with CP can walk independently. 6. Many children with CP have one or more additional conditions or diseases along with their CP, known as co-occurring conditions. For example, about 4 in 10 children with CP also have epilepsyand about 1 in 10 have autism spectrum disorder. 9. The specific cause of CP in most children is unknown. 10. CP is typically diagnosed during the first or second year after birth. If a child’s symptoms are mild, it is sometimes difficult to make a diagnosis until the child is a few years older. 11. With the appropriate services and support, children and adults with CP can stay well, active, and a part of the community. Read the stories of children, adults, and families living with CP.